Tiger in a zoo in Thailand photo. 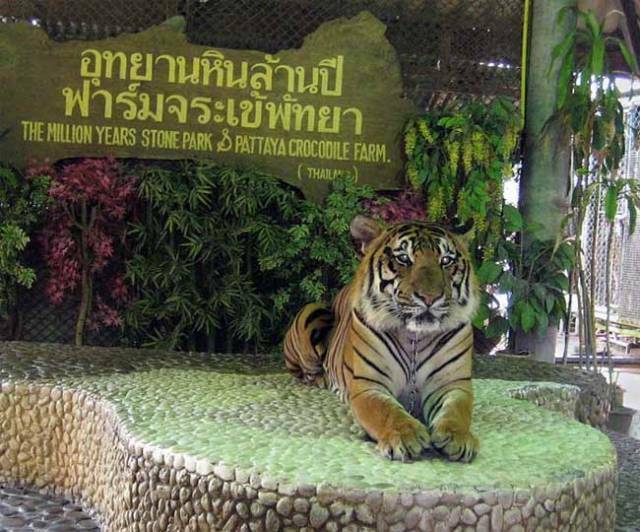 There is a small zoo and a crocodile farm in the “Park of Million year rocks” in Pattaya (Thailand). The photo shows one of the tigers. It is must to visit place in Pattaya. This park and other Pattaya attractions location is pointed on the map.